Students embrace the role of young people in a changing world and the role of leadership and service in a world that is hungry for it. Legacy's Training the Trainers program brings about a peaceful solutions to conflict in schools. 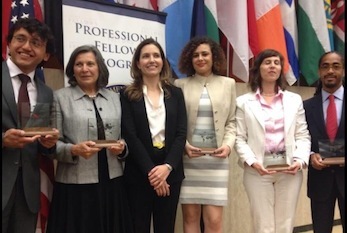 Legacy LFP Alumna Nadia Rabbaa wins U.S. Dept of State Alumni Impact Award.